While doing a suspension check, I found the right front lower ball joint had some decent play in it (it's a bit sloppy). So I guess it's time to replace that! Does anyone know if the entire control arm needs to be replaced in this case or is the ball joint a press out and replace kind of deal. Also, I know it's on borrowed time, but is there any way of telling how much longer we can drive it before the assembly falls off? Can't get it done immediately as the part would need to be ordered, finding time in the shop's schedule to take me in, etc. Thanks if anyone can help with this ticking time bomb. Also, does a front end alignment need to be done after the part is replaced typically. Thanks all. Last edited by StratLou; 07-19-2018 at 10:02 PM. Front end alight no. Check flee bay for what it looks like. Does it look like this from my 2003 Voyager. Bushes are renewable. 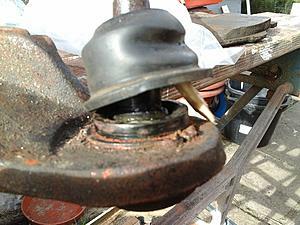 Ball joint pressed in & clipped. Workshop facilities required. Considering it's got 152,000+ miles and the front susp has been making multiple noises, I felt it would be more prudent to just change the entire lower control arm (still original). It wasn't that much more and the labor time at the shop (I don't have the equipment) was going to make it more costly to replace the bj. 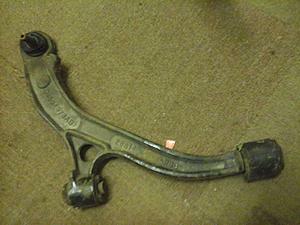 This way we also get new control arm and attaching bushings as well which may solve some of our other susp noise issues. Also, I also realized it's been over 12,000 mi and a rough, pothole filled winter here in MA since we had an alignment done last so this would probably be a good time to do that too. Thanks for the info. 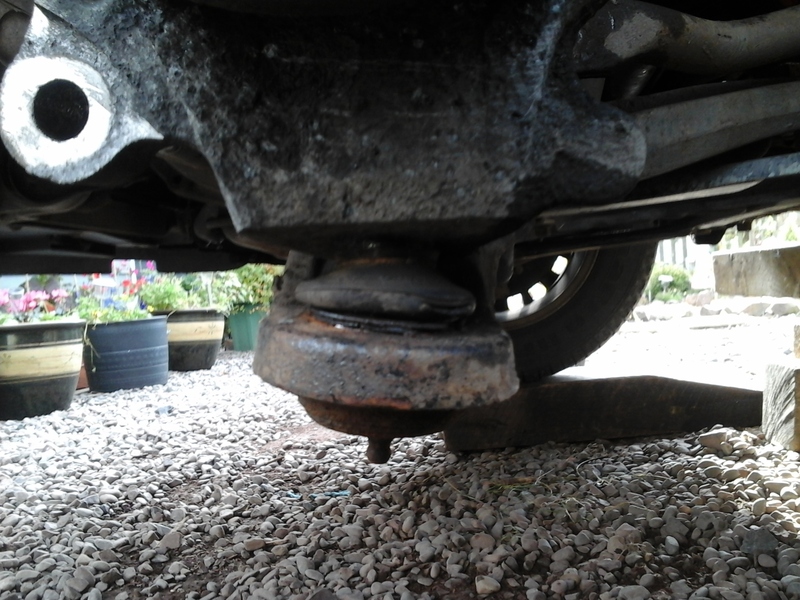 2005 T&C 3.8 - Catastrophic failure of ball joint?